Manchester United are returning to Champions League action. After two months of wait, the world’s greatest club competition is back and the Devils will have the pleasure of playing right away. The opponent is a tough one. Paris Saint-Germain will be arriving in Manchester ready to show Europe that they can finally challenge for the famous trophy, after never getting past quarter-finals in this Qatari era of theirs. Here are the things Man United fans will want to know about them. PSG are dominating Ligue 1 this season like no one remembers. After most of the teams have played 24 matches, PSG are still on 22 (for various reasons), but despite that, they have a 10-point lead on their closest rival, Lille. The lead could potentially grow to 16 without Lille even playing a single match and that is enough to give you a picture about them. They have 19 wins, two draws and a single loss. They scored 68 goals, or 3.1 per game, the most of all 98 teams in Europe’s five of the best leagues. Even Man City are at 2.7 goals per match. They conceded just 13 goals and there is really no one that can challenge them in France anymore. Europe is the only frontier they need to conquer now. PSG were part of one of the toughest Champions League groups ever. They played Napoli and Liverpool, alongside Serbia’s Crvena Zvezda. Even they managed to win four points in such a tough group and prove their worth, but in the end it was PSG finishing first ahead of Liverpool. They had some tough matches against Napoli but still managed to get the needed results, while beating Liverpool in Paris. Their only loss came against Reds at Anfield. Maybe they will not enjoy England yet again. The French champions have a lot injury problems ahead of the match at Old Trafford. Neymar’s foot injury will keep him sidelined at least until the end of March, while Edinson Cavani is not fit either, the Uruguayan suffering an injury last weekend. Also, Thomas Meunier, the Belgian right-back, will be out of contention, as he had a concussion. Doctors said he needs at least a week of rest before returning to match fitness. This means the front three of Mbappe-Cavani-Neymar will be just Mbappe, while Dani Alves will start at right-back. Lassana Diarra is not ready, but he was probably never going to be a first choice defensive midfielder anyway. Maybe the best goalscorer Cavani and best dribbler Neymar will not be part of the first leg, but Kyllian Mbappe surely will be. And that is enough of a threat on itself. 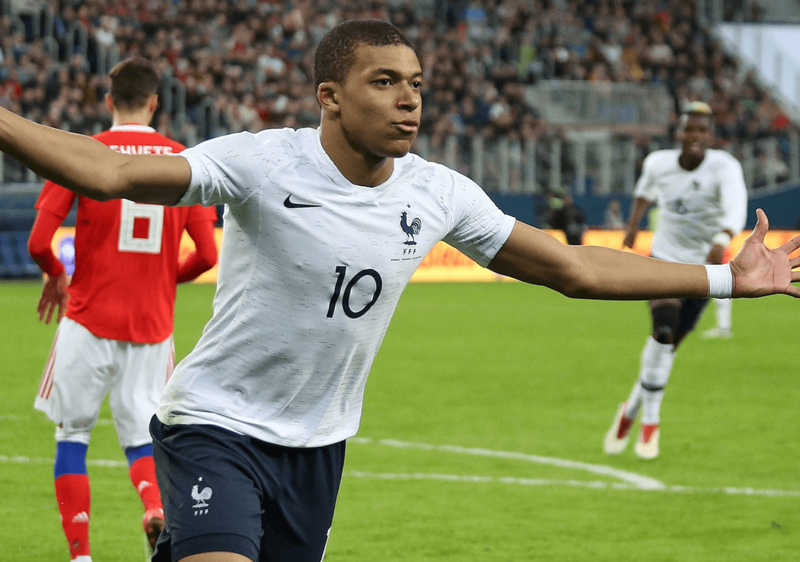 The 20-year old World Cup-winning Frenchman will be the main attacking outlet, probably with even more freedom to operate between the lines and out on the flank. Angel Di Maria and Julian Draxler will be amongst those helping Mbappe find his best. The raw speed and natural ability will be tough to stop and Man United defenders will need to help themselves out, not allowing him any space.